He spoke, yesterday, prior to the commencement of State Executive Council, SEC, meeting, insisting that, all election processes from beginning to end must be peaceful. “Just recently we signed a peace accord with other political parties. As far as our great party, All Progressives Congress, APC, is concerned, we will abide by it,” Ganduje stated. “We urge our people to always be peaceful while election is taking place. Just as we did during our campaign period, we abhor brandishing of any form of weapon.” he said. 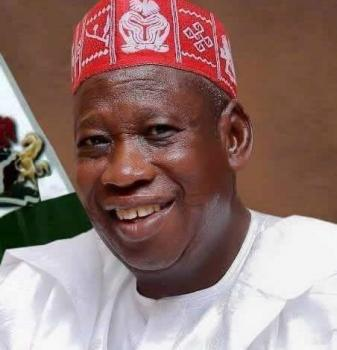 Ganduje urged party supporters not to intimidate the electorate during the polls, adding: “The coming elections, starting with the presidential, must be peaceful and we are hoping it to be peaceful and victorious from the part of our candidate, President Muhammadu Buhari,” he said. On security ahead of the elections, Ganduje assured that the state government with other security agencies in the state have put in place necessary strategies for peaceful elections.